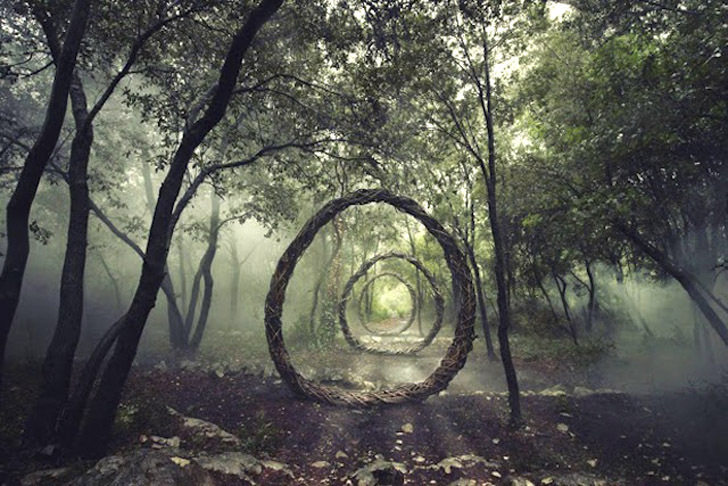 Something magical has been happening in the woods around the Loup River in southern France. Artist Spencer Byles has spent a year living in the area's remote woodland, creating intriguing temporary structures from natural materials. The spontaneous creations are deliberately hard to find and are unlikely to be stumbled across, but you can click through to take a tour here. 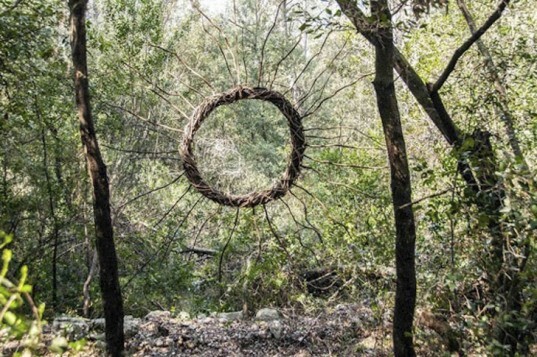 After many years travelling and making land art, the 65-year-old sculptor now prefers to keep his practice local. His next project will involve the building of so-called paper landscapes from papier mâché to create installations at seven ruin sites. He often receives offers to work commercially, but taking money for his craft doesn’t appeal. He is dedicated to working freely, within and alongside nature. 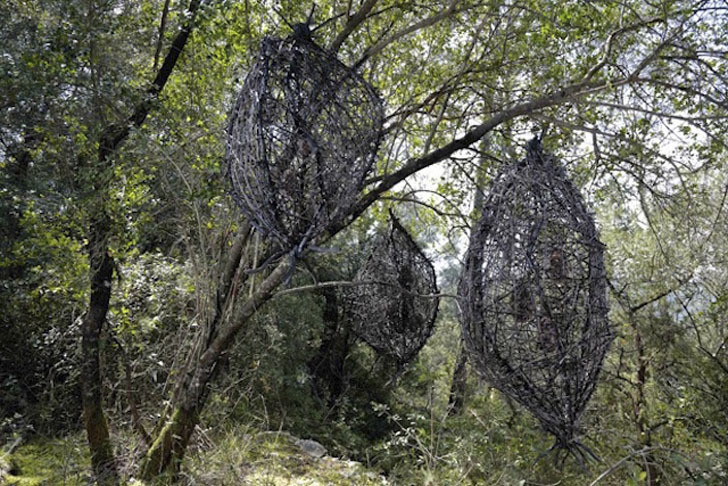 Towering weaved structures, hanging pods and large-scale constellations of shapes create a theatrical or even supernatural realm within the picturesque woodland environment. The pieces seem to communicate with the viewer, playing with the tension between accident and design. The sculptures begin to disintegrate soon after their creation, something many land artists have explored and an idea that Byles is taken by. After many years travelling and making land art, the 65-year-old sculptor now prefers to keep his practice local. His next project will involve the building of so-called paper landscapes from papier mâché to create installations at seven ruin sites. Half of the structures have already begun to disintegrate and return to nature.